Come learn from All American Steeplechase Athletes. 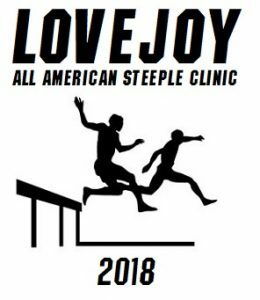 This clinic will serve as a single event specific clinic focusing solely on the the steeplechase. The clinic will be informative and hands on for athletes. Both coaches and athletes are welcome to attend. Enter through the front doors of Lovejoy High School. The clinic will begin in the LHS Lecture Hall. The Lecture Hall will be first set of doors on left in the entry way of Lovejoy High School. Actual demonstrations and practice of steeple barrier work will be at the LHS Track/LHS Indoor facility depending on weather. Speakers: Rebeka Stowe (Kansas), Greg Christensen (Lovejoy HS), and Bob Christensen. Coaches who bring 3 or more athletes can attend for free. Please register so that we have a head count of total clinic participants. Athletes need to bring their own water bottle and towels to dry off.